I've finally followed my heart. I've jailbroken and unlocked the phone!! Seriously, it brings the whole other meaning of using an iPhone. Whoever doesn't do it yet, or thinking of doing so, go and do it! It's quite simple, all you have to do is be strong and follow the steps. I was quite there, seriously, but I'd rather let the one with experience do it for me. Why take the risk? Michael Jackson has just passed away, I just received the news this morning. Being head over heels for him during high school, and used to borrow his album from my friends, I am so saddened by his sudden death. I don't know, I always thought he's going to be around for a long time. I don't know if it's true that he's converted to Islam, but if he did, I'm grateful that he died being as a Muslim. Hidayah comes to unexpected people, the ones chosen by Him and if the legendary, one of the most influential person in the world was one of His chosen ones, I'm glad and relieved. People may say all the bad things about him, but I'll always remember him as one of the person I'm so fond of during my childhood years. He is undoubtedly one of the most successful person in the world, his death is such a tragic loss. I don't know if I've ever been this sad over celebrity's death, apart from Princess Diana's. 1) WHY PUT SARAH IZZATI THERE AT YOUR LINK COLUMNS ? 3) Is that the result of the jailbroken thing ? Your Iphone looks like a pc/laptop ? COOL ! hahaha ehh your name sarah izzati munir kann? ?dont tell me i got ur name wrong! 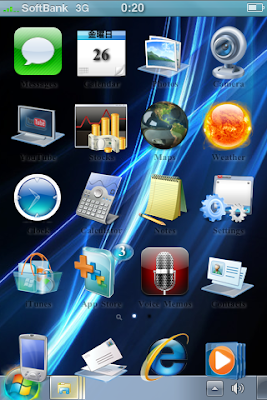 yeah after jailbreak boleh change the theme,thats why it turned out like that :) haha thank you! sila2 lah menyebok di sini,i dont mind.haha. tp tu le...nk 1step ahead plak lg...lpas jailbreak ada apa plak..